Resources for Grief is dedicated to providing personalized, supportive, and compassionate resources for those who grieve. Our professional and beautifully-written bereavement resources can be used by organizations such as hospice programs, funeral homes, and faith communities, or by individuals who wish to provide encouragement and support to someone who is grieving. The stress of grief usually takes a physical and emotional toll on survivors. Trustworthy and consistent grief support can make a tremendous difference in helping the bereaved adjust and cope. The Author and Creator of Resources for Grief products is a Registered Nurse and Mental Health Counselor. 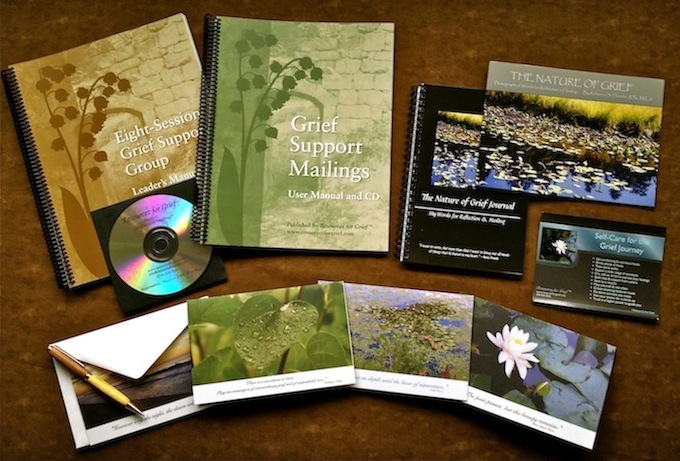 In creating the Resources for Grief product line, she drew on her 25 years of experience in grief support work as well as the expertise of other grief professionals and the bereaved. The result is resources you can use with confidence! "Thank you for your honorable way of conducting business. I appreciate your standard of integrity." 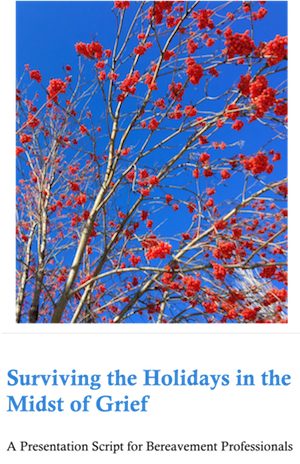 "The Grief Support Mailings and Grief Group Manual are a gift to our ministry. I hear many family members express appreciation for the letters. The group manual guides us through support meetings. We are now able to extend bereavement support beyond the death and memorial service." "Thanks so much for expediting this. I really appreciate your responsiveness. I like the energy of your company. It's nice to know this resource is out there." "Thank you for your prompt response to the issue. We did receive the correct item ordered through NHPCO." "Thank you for the follow-up phone call to our business. I am excited about the products and will be passing your helpful suggestions along to the director." 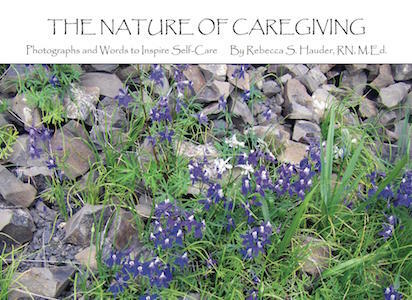 We offer a Self-Care Tip of the Month for Caregivers to the Dying and Bereaved. View a sample and sign up now!